This traffic study and design project included the review and analysis of impacts associated with realigning IA Hwy 926 through downtown Fort Dodge. Strategies included the acquisition of long-standing, yet blighted downtown properties in an effort to “right size” the core business district. 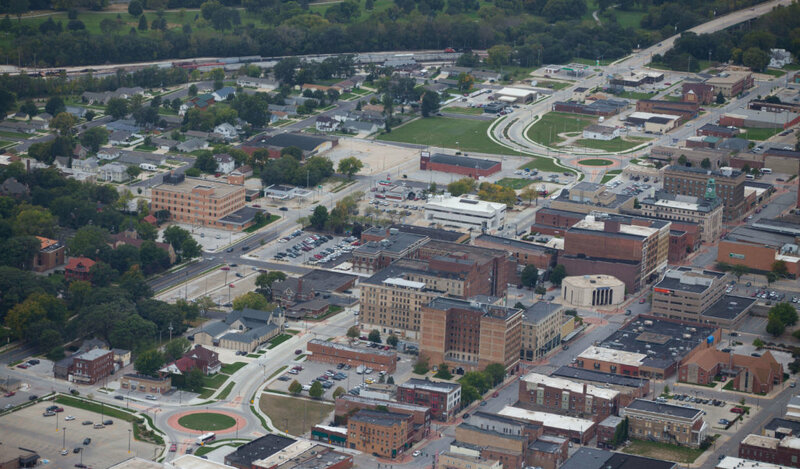 Additionally, by creating a continuous corridor that connects the portion of Fort Dodge that lies on the west side of the Union Pacific rail yard with the east side, the downtown business district is able to better serve the entire community. The scope of the impact study included understanding and developing the project purpose and need, numerous public meetings to gather input, documentation and evaluation of existing conditions, and evaluation of traffic operations throughout the downtown and eastern retail areas. The project also included concept development that included quality of life enhancements such as a civic plaza, bike lanes connected to the regional trail system, streetscape amenities, and specialty pavements. Specific land use redevelopment concepts included the development of a recreation center to complement the small shop retail area and vertical mixed-use for residential downtown loft development. The chosen alternative meets the intended use and is in alignment with the land use plan for the historic downtown area. Numerous alternative routes were developed and different intersection treatments were evaluated as part of the traffic analysis. To improve operations of the local street network, two roundabout intersections were designed and built and 13 traffic signals were removed. The overhead utility infrastructure was buried along the Cross-Town Connector corridor to improve the aesthetic appeal and provide better pedestrian accommodation within narrow rights-of-way. The chosen alternative addresses the “complete streets” concept as there was a need for on-street parking, pedestrian/bike accommodation, bus accommodation and access control. Bike lanes were constructed along the realignment portion to better serve downtown area businesses. This $9 million project required procuring nearly 70 percent of project funds from sources outside the city. 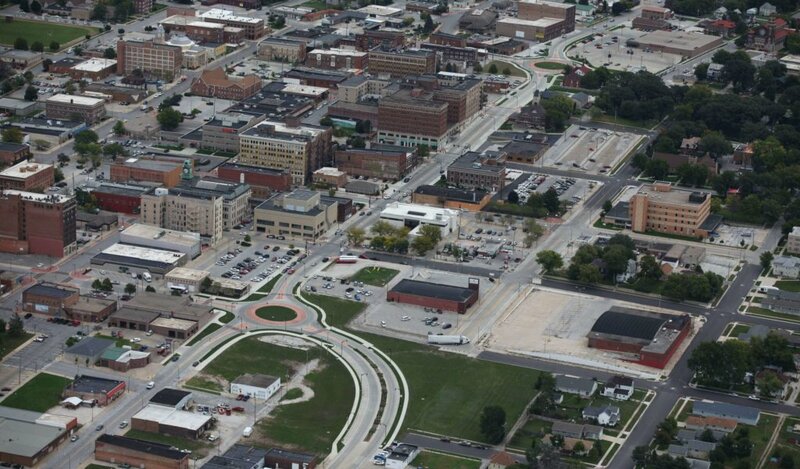 These funding sources included the Iowa Department of Transportation (three different sources), the former I-Jobs program, the Downtown SSMID (two different amounts for the roadway and gateway features), two philanthropic grants, and multiple revenue funds from the city. Working side by side with community leaders, we strategized a financial plan to complete this project that has contributed to the overall revitalization of their downtown core business district. 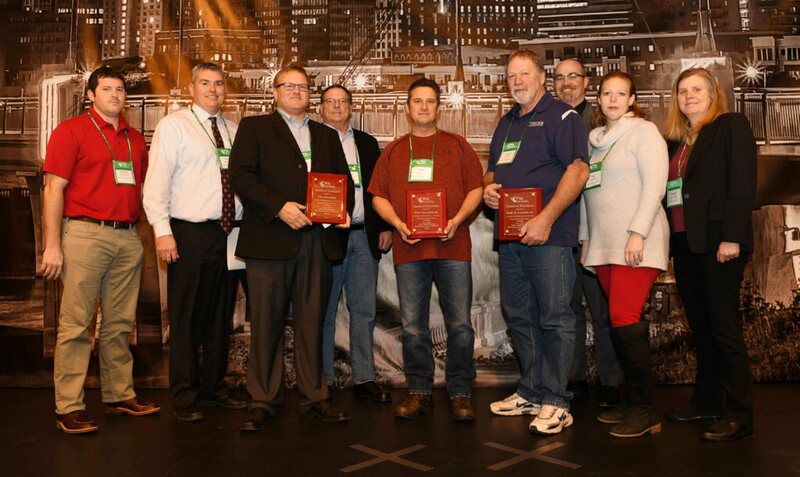 On Thursday, February 2, 2017, members of the Fort Dodge Cross-Town Connector project team were awarded the Best PCC Paving Award in the Urban Arterials and Collectors category (< 15,000 SY) by the Iowa Concrete Paving Association and the Iowa DOT. The awards ceremony was part of the 53rd Annual Concrete Paving Workshop held at the Meadows Events and Conference Center in Altoona, IA. 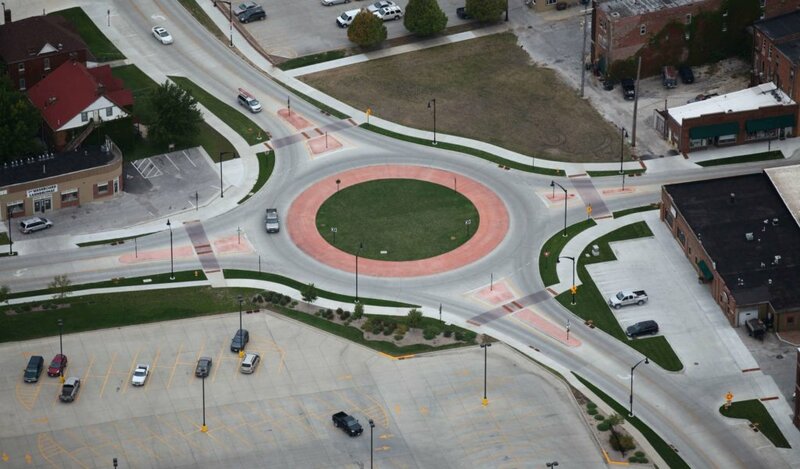 Both construction and design were taken into account by the judges in awarding the Cross-Town Connector project team comprised of Wick’s Construction, the City of Fort Dodge, and Snyder & Associates.